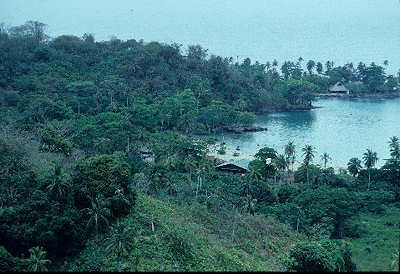 "Port Pheasant", Colombia This was Drake's first hideaway base in the New World and the first anchorage that he named from environmental inspiration. During his weeklong sojourn in 1572, he built a timber stockade in this fine round Bay. Only Zapzurro cove matches the stated geography and the site of the fort is in the north corner. This on-site discovery rewards the academic speculation by two other Drake scholars.